We reveal the winner and shortlist for the unforgettable Hong Kong experience, as chosen in the 2018 Marco Polo Club Members' Choice Awards by Cathay Pacific's most frequent flyers. 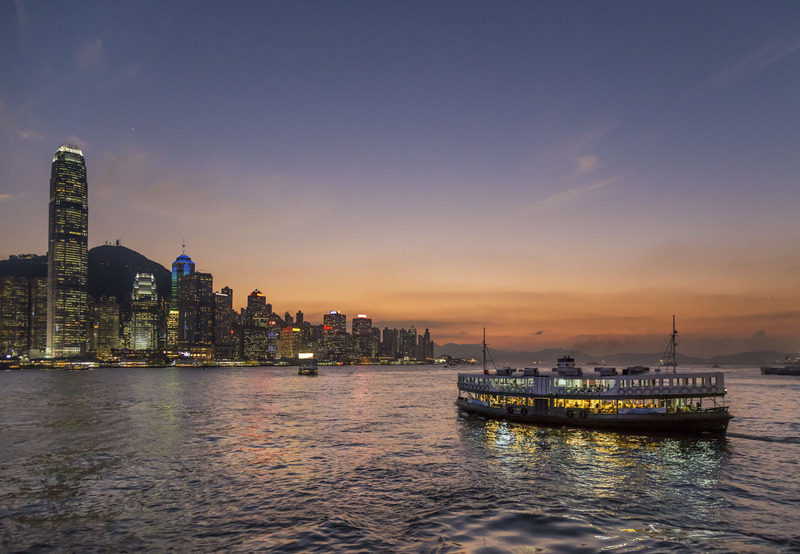 From a long list of options that included Hong Kong’s picturesque hiking trails to a night at Happy Valley racecourse, the number one Hong Kong experience as voted by Marco Polo Club members is also perhaps its most iconic: a ride on the Star Ferry at night. The cross-harbour journey (reduced to just seven minutes thanks to land reclamation and modernisation) offers the perfect chance to soak in Hong Kong’s mesmerising skyline. On Wednesdays, powerful spotlights turn night into day at Hong Kong’s most famous horse-racing venue. Keen racing enthusiasts mingle alongside punters out to soak in the the thrill of the race, complemented with beer tents, food stalls and live music performances. Hong Kong’s famous urban skyline continues to overshadow its wealth of country parks and hiking trails (including the excellent Lion Rock and MacLehose trails), but for those in the know, the territory’s stunning natural landscape reveals secret waterfalls, breathtaking views, exotic flora and fauna and geological phenomena. Strictly speaking, traditional Hong Kong ‘junks’ have been replaced by more modern vessels, but the term for old Chinese fishing boats remains in use, particularly when referring to boat trips out to a far flung bay. It’s the perfect way to spend a hot, sticky summer’s day, drink in hand, showing off your derring-do with the occasional backflip into the South China Sea. The journey back into Victoria Harbour at dusk is also a truly magical feeling. Quaint and heritage are two things you can’t often associate with Hong Kong, but this tiny stilted village on Lantau Island (which includes heritage hotel in a fabulously former colonial police station) shows off the a way of life that used to be far more prevalent across the region. This flat 3.5 kilometre trail circles 360-degrees around Hong Kong’s most famous peak, offering amazing views over all parts of the island. Taking around 30 minutes to complete, it’s ideal for new arrivals to get their bearings, and can be finished off with one of the attractions or restaurants waiting at The Peak. In terms of cost-per-time entertainment, this 15-minute thrill-seeking experience will be at the top end of most budgets. But if we agree memories are priceless, then this once-in-a-lifetime opportunity is likely to feature on a few bucket lists.